Well ladies and gents, a new base has crept its way into my makeup collection and it’s a rather delightful one I must say. I wasn’t going to get on the new Laura Mercier Silk Creme hype, but after testing it on my hand in Space NK I was sold. Totally smitten. After using it for over a week, I thought I’d write a bit of a review on my new favourite base combo. So, Laura Mercier Silk Creme Oil Free Photo Edition Foundation (phew!) feels like a revised version of her old classic in the brown tube, but is apparently the same? Even though it definitely feels different and isn’t half as thick. She’s brought out a new moisturising one, but my skin is oily enough thank you so opted for the oil free offering. Now, the basics: it’s a medium coverage, yet lightweight, foundation that creates a smooth and, dare I say, rather flawless base. It’s not gonna cover a serious breakout, but it does a really good job at making pores disappear and making your skin perfectly even. Do I like this more than the first ever tube I bought? Yes. Yes I do. It’s a wonderful foundation and you should definitely try it out! Accompanying this beautifully is the Laura Mercier High Coverage Concealer. This stuff ain’t lying, it’s seriously full coverage. You need the smallest amount, literally a pinhead will cover both under-eyes so a tube will last you forever, and your dark circles or blemishes will be no more. It does take some blending work, as it’s quite thick, but once you’ve warmed it up a bit and patted it in, it stays put all day. If you need something heavy duty, look no further! 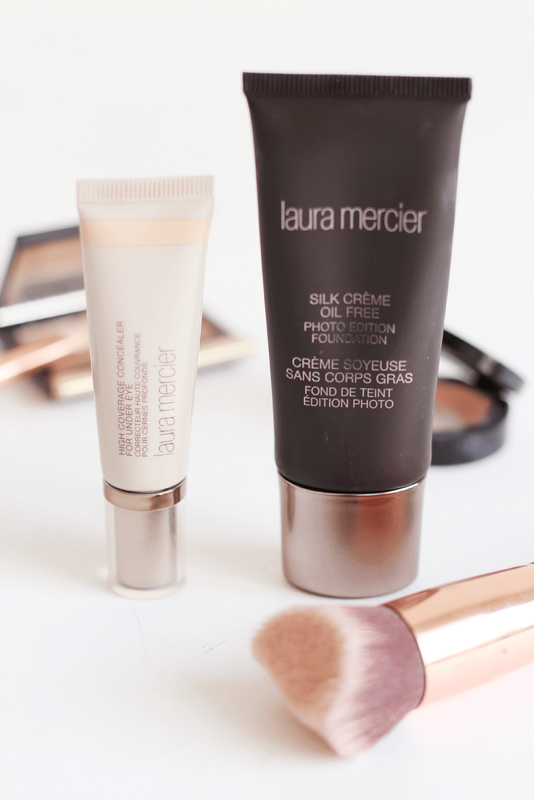 Have you tried the new Laura Mercier Silk Creme bases yet? Oh and check out my beauty blog sale – it has to end this weekend!